Dell posted a smaller loss during its 2018 financial third quarter, as the company continues to absorb its EMC acquisition, as well as branch out into new areas, such as hyperconverged infrastructure and the internet of things (IoT), reports Enterprise Cloud News (Banking Technology’s sister publication). During the quarter, Dell posted GAAP revenue of $19.6 billion – a 21% year-over-year increase – and an operating loss of $533 million, as well as a net loss of $941 million. In the second quarter, the company had a net loss of $978 million. In the third quarter, non-GAAP revenue stood at $19.9 billion and non-GAAP income stood at $1.97 billion. Overall, Dell is continuing to absorb its EMC acquisition, as well as expand into other areas, including cloud and IoT. In October, CEO Michael Dell introduced a new IoT strategy that will leverage all the various businesses that make up Dell, including Dell EMC and VMware. 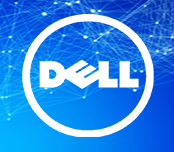 “Our strategy to be the essential infrastructure provider is resonating with our customers, who turn to Dell Technologies to transform and digitise their environments,” says Jeff Clarke, vice-chairman of products and operations at Dell. Within the Infrastructure Solutions Group (ISG), which includes Dell’s cloud and infrastructure businesses, the company saw revenue of $7.5 billion, a 2% quarter-over-quarter increase, with operating income of $678 million. Server and networking revenue totaled $3.9 billion, an 3% quarter-over-quarter increase, and storage remained flat at $3.7 billion. Within ISG, the company saw increased interest for its VxRail hyperconverged appliance, which the company recently updated with support for its newer PowerEdge servers. In addition, VMware posted $2 billion in revenue during the quarter, with operating income of $639 million. Within its Client Solutions Group, which includes the company’s sprawling PC division, revenue stood at $10 billion, an 8% increase from a year ago. Operating income stood at $672 million, a 6% increase. Dell saw increases in notebook sales in both consumer sales as well as enterprise purchases. While Dell is now a privately held company, it continues to report its quarterly results. In addition to the financial numbers, the company also noted that it paid down $1.7 billion in debt during the last three months, and has now paid down $9.7 billion in debt since the EMC deal closed. Dell makes case for cloud "core"
Even with the layoffs, it is also hiring. Will help clients gather actionable insights from raw data. A severe vulnerability affecting the enterprise seems to have slipped under the radar.